If you’re looking to learn about the history of drones – prepare to be amazed. Drones or UAVs started out life as pretty simple rudimentary barely flying objects, slowly but steadily evolving into the technological marvels they have become today – you can today actually build your own UAV with drone kits! Their history and evolution takes us all around the globe, where we meet such personalities as Nicola Tesla and Marilyn Monroe. Like all other amazing – and controversial – human inventions, the history of drones shows that these monotonous-sounding objects can be used either for the best of mankind, or it can be applied in the terrifying quest for power as a spectacular instrument for evil or war. However way you look at this phenomenon, it is, once more, a revolutionary achievement by the human being. So, you want to know more about the history of drones? It is a fascinating, long story. When was the first drone used in history for purposes of killing? Who was the historical inventor behind the first type of drone? So what was the historical intention of the drone? Why should we worry about the dark side of drones? What are drones doing at this point in history? When did personal drones and quadcopters become popular? Who invented the toy drone? What has history shown about drones do that is positive and uplifting? Infographic timeline researched and created by DronesBuy.net – we have a passion for all things drone. We wanted to be more than just a drone rviews site, so we put this informatial timelines of the evolution of drones, quadcopters and Unmanned Aerial Vehicles and systems. It cannot be exactly pinpointed why the name “drone” was chosen, although it seems logical when one hears the sound. This spunky object – which can now be as small as the size of a man’s palm – makes a crazy humming sound, much like a bee in hot pursuit. That type of hum does not have ups and downs – it just drones and drones on and on, so this pretty much explains the label. So, you are wondering, and it is perfectly understandable: why not just call it just small, tiny airplane if it does the same thing, more or less? That is where the beauty of the drone comes in. It is an unmanned aerial vehicle (UAV) that can be remotely controlled. Of course, this makes sense when you think about the history of aircraft that lead to this nifty invention – hence the history of drones. When airplanes were made, they had to be tested as well. But no organisation, country or business could – or would – sacrifice a pilot every time they tested a plane. And one may justifiably ask: who would be the poor victim or volunteer? In this article, we will start primarily with the evolution of unmanned flying objects, going on to the evolution of military drones and then finally, how the personal drone revolution came about. If you don’t really like reading you might want to have a look at this video, An Animated History of the Drone created by Mashable. So, what are your best estimates about the first historical use of the drone or an Unmanned Aerial Vehicle? Ten years, fifty? Maybe eighty or a hundred? Ten years, fifty? Maybe eighty or a hundred? Wrong – the first real drone (using the definition of an unmanned aerial vehicle replacing a human being) besides the balloon-dropping episode, happened by the Montgolfier brothers in France in 1782. The Montgolfier brothers in France, were the first to experiment with unmanned balloons – In preparation for their manned flights they sent unmanned aerostats aloft. That’s right, not one century ago, but more than two centuries ago! In 1806, some kites were flown from the 32-gun frigate HMS Pallas, scattering nasty propaganda pamphlets over parts of France. (1). What is fascinating, though, is that one of the reputable sources about this ruthless attack is the documentary film, On a Wind and a Prayer. The early history that is available, though, tells us that Austria had to take this urgent step because it was so challenging to get to Venice, which was surrounded by water, and it was far too risky for land soldiers to attack the Venetians. Italy also controlled Venice, but the Venetians had no tolerance for that anymore. There at least seems to be clarity that the inventor of the first drone was Austria, Franz von Uchatius. It is also apparent from history that the Austrians had no qualms or doubt to use this weapon with all their energy focused on the task of war. Homan points out that these bombs – the drones – were filled with devastating shrapnel. It appears that they were detonated by timers, but did little more than maiming many people. In June 1862, an intriguing patent for a flying machine that can hold bombs was lodged in Massachusetts. This was for an intricate design that held hydrogen gas, and with steam-power, the wings were pivoted from horizontal to vertical. Then, a mere seven months later, Charles Perry of New York also registered a patent for a hot-air balloon that carried a basket with a timing mechanism that tipped the bomb out. The balloon was – as initially planned, unmanned. It is hugely fascinating that these patent inventors were at the time not seen as very brilliant – they were described as silly “cranks”. Less than twenty years later, the United States Forces used balloons, but more for reconnaissance purposes, and not yet for war. The second chapter of the history of drones was written when the United States, in 1898, vaguely copied the historical design of the Austrians and invented their own rendition by secretly fashioning a kite with a camera fitted on to it. These drones were consequently employed during the Spanish-American war. By now it had dawned on many people, that the drone had tremendous possibilities to be used for purposes of reconnaissance, surveillance, and intelligence. This invention, of course, dotted history with controversial ideas and thoughts on the side of prominent countries and leaders in history. Everyone got onto the bandwagon, and it was a bloody scramble to get ahead in using this nifty invention. Undoubtedly, though, there must have people with hidden visions of how drones could be used in future warfare applications. Konrad Lorenz, a behavioural scientist, a former Nazi but later Nobel-prize winner, propagated the fact that men and women plainly have a drive to be aggressive towards others. This drive is controlled through a safety mechanism in the human mind, where the desire to kill is blunted, when an opponent shows submission. Putting distance between the aggressor and opponent typically stunted this safety mechanism. Drones would thus be perfect military machines since they nearly completely shut-off this safety mechanism – they completely isolated the human from the actual killing. However, in the U.S, in 1898, before being used for way, the modern flying robot with military and war potential was peacefully floating on Madison Square Garden’s pond. The “teleautomaton” was the first ever radio controlled device in the form of a miniature boat. Tesla had two devices one that could be remote controlled above water and another that had a hidden loop antenna. The most significant ideas, however, were concealed and not even explained in his patent for fear that they would be stolen like so many of his other inventions. What one needs to understand, is that no drone would have ever come into existence without the magic of electro-magnetical waves – or simply, radio waves. Barely nine years after the first use of drones in Europe by the Austrians, the first communication by means of radio waves was achieved between Europe and America. The historic use of the camera in the history of the drone also needs to be recognized. Even with the use of the first type of drones in 1896, these flying “cameras” recorded pictures in a 90-second period of time. If that was possible in 1896, imagine what can be done today with a sophisticated, unobtrusive drone. In fact, the Royal Flying Corps took over 19 000 aerial photographs and collected a staggering 430 000 photographic prints during the five months of the Battle of the Somme in 1916. In 1911, the Italians again were the ones who first used aircraft for military purposes when they attacked Libya. A young italian pilot, Gulio Gavotti, become the first to carry out an air-raid by hanging out of his flimsy aircraft and flinging a bomb at troops in a desert oasis below. The next breakthrough was awe-inspiring – a light construction was launched by means of a catapult, from where it flew more than 50 miles, carrying a 300-pound bomb. This was, incidentally, also the first application of gyroscopic technology which was vital for the optimal development of the drone. Naturally, this groundbreaking event shook the scientific fields, and the US Army promptly commissioned the Dayton-Wright Airplane Company to design the Kettering Aerial Torpedo – the “Bug”. This was developed by Charles F. Kettering of Dayton, Ohio, in 1917 – hence the name Kettering. Pilotless, with pre-set controls, it tumbled to earth after an electrical circuit detonated its devastating, bombs on board. Ironically, it was never successfully used in combat, in spite of the fact that the US spent whopping $275 000 on the development. The 1930s became the jazzy decade when many interested people were piqued by remotely controlled vehicles. The mid-1940s saw an enormous chapter in the history of drone development. The GB-1 Glide Bomb was designed to bypass German air defences, carrying a deadly 2000 pound bomb. Once again, radio control played a huge role, as these drones were guided by bombardiers to target unsuspecting people on the ground. A horrific number of 108 B-17s were dropped in the raid on Cologne. The only factor keeping these drones from causing massive damage was the fact that they could not operate in adverse atmospheric conditions, and many things could (and did) go wrong during an operation. This may sound unbelievable, but around 40 000 aircraft and 80 000 crew members were lost during WW2. If an effective drone could be developed, it would be a huge financial and human bonus. No loss of human lives or airplanes was a massive and ambitious goal. After the war by 1946, the US Air Force entered the drone history again. Interestingly, one of the world’s most sensational women ever was discovered at the exact same time in 1960, in the same place, as the first modern drone. Captain Ronald Reagan (yes, that one!) of the Army Air Force’s Motion Picture Unit got wind about these unmanned flying vehicles and sent a photographer to the factory, called Radioplane, close to Van Nuys Airport. Conover, being a photographer and being a man, observed the spectacularly pretty girl who showed him the product that the factory was manufacturing. He got his pictures of the flying objects, and some of Norma Jeane Dougherty, and promptly persuaded her to stop this nonsense of showing off things in a factory and rather become a model. The rest is Marilyn Monroe history. The East and West now had serious problems with one another, and the battle-field was Vietnam during the 1960s. The popular Lightning Bug drones were used over the north of Vietnam after the end of Rolling Thunder in 1968. The Vietnam chapter is central to the history of contemporary warfare drones. It flew at very low altitudes, and between 1964 and 1975, it is claimed that the Lightning Bugs were involved in 3500 combat incidents in Vietnam. Nonetheless, this drone was expensive to manufacture. In today’s terms, these drones cost more than $1.3 billion. The next chapter in the history of the drone played out over Cuba, when it was used as instruments of spying. These drones were deployed for surveillance in an ever-increasing Cold War battlespace that included China, North Korea and Cuba. It was reported that China claimed that they shot down a recce plane with no pilot. The disastrous part of drone history was not nearly done, and as the Cold War ran cold, the pursuit of pilotless robots were just increased. The CIA was now part of the painful plot of drone history. The CIA was now part of the plot of drone history. Before Karem came along, the Pentagon’s best performing drone, the Aquila was extremely unreliable and required a team of 30 people to operate it. Karem, designed a new drone, at that time code-named Albatross, which went back to basics in terms of design and materials, and required just 3 people to operate it. When DARPA saw this drone, they funded Karem to develop a new drone, code-named Amber, which eventually evolved into the Predator drone we know today. Political infighting meant that the drone program went through a number of setbacks. The model officially used was the GNAT-570, but given the nickname Predator. It provided surveillance via live video feeds for NATO convoys to spot Serbian weapons, whilst the Hellfire missiles could be used to launch a devastating attack without warning. When one thinks about it, the drone’s success can be ascribed as a victory over geography. The next phase went from the swamps of Vietnam, to the remote hills and caves of Pakistan and Afghanistan. Where man cannot go, due to risk or simply due to accessibility, the drone easily goes. This is why the war on terror escalated the use of the drone so dramatically. And remember once again, that there is no loss of human life in the process on the part of the attacker or aggressor, although no the same can be said about the target of each drone mission. The Predator – worthy of its name – can be operated at a distance of 7,500 miles. By 2013, a mere few years ago, UAVs were reportedly used in at least 50 countries. Many of them were made in their own countries such as Iran, Israel and China. The drone, as it is now famously known throughout the world, has many remarkable uses today. These insect-like motorized objects can easily drop your online orders or life-saving medicine on your porch; they can provide hours of delight to young (and older) boys, and will probably assist in securing a lower crime-zone in future. They can be used, silently and unseen, to monitor every single word you speak and every act you commit and invade your privacy without you even suspecting it. Many irate spouses who were cheated, can just get it into their dirty minds to film every transgression of the partner. Mention the word ‘drone’, for example, to filmmakers of epic scenes, and he or he may turn jubilant with joy. suggesting something disturbing about what human violence may become. The unique technology allows the mundane and regular violence of military force to be separated further from human emotion. Drones foreshadow the idea that brutality could become detached from humanity—and yield violence that is unconscious. In this sense, drones foretell a future that is very dark indeed” (https://www.thenation.com/article/brief-history-drones/). When governments realized how well the drone operated in the war on terror. As crime escalates in cities, the war drone is going to be deployed in cities to bring down crime and protect citizens. It is a bit chilling to hear about a so-called police-state where no-one can hide from a drone. It would be however more correct to speak in this case of robots rather than drones, but the principles and origin remains that of a drone. As with all great inventions, the drone, as we have learned, can be used adversely. This happened when a police robot or drone landed on the Japanese Prime Minister’s office floor with deadly biological warfare. Naturally, this gives governments unlimited and invasive state power. This raises new legal and ethical questions for governments or police who make use of the Predator and Reaper. But the drone is not only useful for war, attacks and spying. In fact, it has become one of the biggest and most popular toys in history. Want your beer delivered? The drone can help. Want some spicy taco’s with your beer? No fear, the drone is near! And the once historical dangerous drone also now does wonderful environmental work. With the number of rhinos poached in South Africa in January of 2014 already outnumbering the total killed in all of 2008(! ), Google has stepped in to help end this terrible practice. As part of its , the tech giant has awarded a five million dollar grant to the World Wildlife Fund to expand its fleet of UAVs. These drones will help track poachers and discourage them from attempting to continue hunting rhinos, elephants, tigers, and more, to extinction in Asia and Africa. Then there is the drone under the sea to help the Navy collect information. Up above, in the sky, drones are used for the same type of exploration in space. Where man could never go, the drone is at ease. Wherever there is a politican, pop-star or artist busy in an auditorium or stadium, you can look and try to spot the drone that is recording this for posterity. As already mentioned, film and advertising people are going gaga about these little helper drones that can shoot film where the cinematographers cannot go. At half the cost, by the way, than what it would have been to rig certain scenes. These days, personal drones are all the rage. It is just the best toy for any boy – or older boy. You know the saying of boys will be boys … It is still used for many purposes, but just playing with your drone is one of the newest chapters in history, just like Tesla did, long ago in New York. In the late naughties, advances in electronics started tp allowed the production of cheap lightweight flight controllers, accelerometers, global positioning system and cameras, partially also thanks to the massive success of smartphones. This resulted in a rapid proliferation of small, cheap consumer quadcopters along with other multi-rotor designs. Quadcopter designs also became popular in unmanned aerial vehicle (UAV or drone) research. Their compact size and maneuverability, allowed such drones to be flown both indoors as well as outdoors. DJI is definetely one of the main drone manufacturer. 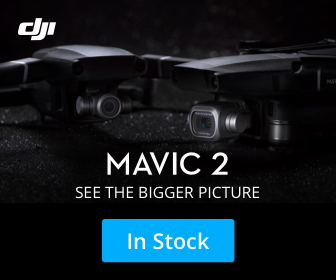 Thanks to such popular models as the Phantom drone series and now the DJI Mavic PRO, interest drones is at an all-time high! Yet, the popularity surge of drones also brings along a number of potential problems. First and foremost is who is going to control the air traffic? What legislation is going to be passed to protect citizens? What happens if accidents and 3rd party damage is incurred? Who is going to enforce any laws? What is going to happen if everybody has a drone? What about if large companies start using hundreds or thousands of drones for commercial purposes? These are philosophical / rhetorical questions which are meant to provide some thinking about the ramifications of the evolution of drones. 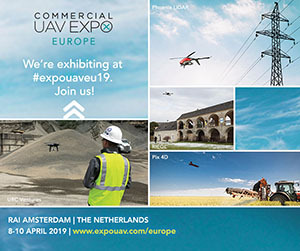 Infact, drones have recently become somewhat controversial – the first is due to privacy issues, where a drone can easily be used to spy or invade the privacy of people who feel they are not welcome. The 2nd issue with drones is the risk that drones pose to commercial aircraft, where several near-misses with passenger flights have been reported. Nobody will argue: a tiny drone with a built-in camera has plenty of uses. In fact, photographers and videographers are one of the most prolific users of drones. The footage and photographers obtained through the usage of drones – a spectacular birds eye view, has boomed in popularity. A drone with a camera has uses for many other industries, farming, rescue, surveillance, and security. Even drone racing is a particularly popular niche, where drone pilots use built-in cameras and VR glasses to guide a drone, just like they are the on-board pilots of the drone. In the superbowl show of 2017, Lady Gaga performed a show which made very innovative use of drones. Using a pre-programmed drone swarm, spectacular lighting effects were created. It seems as if the history of drones is nowhere near finished. It is already doing many wonderful tasks on farms, oil rigs, detecting hurricanes, fighting fire, rescuing animals, capturing images of earth and going into a volcano. These are all things that man cannot do. This said, the legalities and ethics, as decades and centuries ago, still seems patchy. Drones can obviously also be used for more tasks, such as see-through imaging, night vision, video analysis, institutional abuse, discriminatory targeting, tracking. There are already plenty of drone data based industries, using information carried by drone inspections to map out terrains, etc. These data science based applications will surely thrive in their specific niches. Drones have also been used in recovery operations, to find lost people following natural disasters. Some of the very real fears about future drones are fixated on cyber-attacks and the transfer of bio-engineered pandemics. Encounters with planes, helicopter and other manned aircraft has also been a rising concern. To simply put the use of drones in perspective for us, it is worth notable that drone funding in America, a year before 9/11, stood at $284 million. For 2016, the Pentagon plans to use $3 billion on drones, which translates to more than 11 000 drones. And who knows what will happen in 2017 and beyond. Now that we have seen all the not so flavoursome developments of the drone, what is to like about these humming man-made birds? Drones can perform stunning acts: they can detect weather and storms; they do 3D mapping. Drones can monitor wildlife; they can assist with search and rescue; they can enforce the law and order; and they can assist farmers with their labour. This is already a stunning constructive and positive summary. In 2013, Amazon announced that they were exploring the delivery of packages and orders in the near future. A person would get their order on the same day of buying online. Amazon delivery by Drone? Stunt or reality? Facebook have been running tests, for providing internet access to remote areas using drones. Truth be told, drones will always be operated in both deadly and useful ways. Although military drones have certainly come a long way, personal drones are still pretty much in their infancy. The history of drones is only just beginning. And you? What’s your fascination with drones? Do you use tem for aerial videography? Are you a drone racer? Are you just fascinated by the tech? Let us know in the comments below and don’t forget to share! Steve Coll. 2004. Ghost Wars: The Secret History of the CIA, Afghanistan and Bin Laden, from the Soviet Invasion to September 10, 2001. London: Penguin Books. Paul Dickson, 2012. The Electronic Battlefield. Takoma Park: FoxAcre Press. James W. Gibson, 2000. The Perfect War: Technowar in Vietnam, 2nd ed. Atlantic Monthly Press. Mark Mazzetti. 2013, The Way of the Knife: The CIA, a Secret Army, and a War at the Ends of the Earth. Ian Shaw and Majed Akhter, 2012. The Unbearable Humanness of Drone Warfare in FATA, Pakistan. Antipode 44(4), 1490-1509. What do you think is the next evolution in the history of drones? Where will the technology take us next? More uses? More personal drones? More commercial? A complete ban on drones? Let me know what you think! Thanks Nigel, will look into that and update as necessary. There are quite a few events which involved balloons truth be told, so we might have skipped a few of those for brevities sakes, but thanks for pointing that out! And Germany’s V1 flying bomb and V2 rocket, which made significant contributions to autonomous flying technology.